Note: You can decide your title in this theme. Basically participants are expected to write about type of democracy, compare the democracy of any two country e.g. India and china, India and Pakistan, India and Nepal etc. How they are different etc. cite some similarities and dissimilarities. Do not copy from internet. Create your own nascent ideas. First Prize: There will be Trophy, scroll of honor (Print Ready/Printable e-CERTIFICATE signed by top Government Officials and eminent Jury members) and a “Italy Travel Box” as prize sponsored by www.wanderquest.in. The certificate can be used by the students as an accolade under “Extra Curricular Activity”. Apart, the essay of the winners will be posted on the website with their name, photograph, and bio-data. All the participants will get the “Certificate of Participation” as a token of appreciation and gift vouchers sponsored by https://www.wanderquest.in/. We will inform the winners on their email ids and phone calls. The essay should be MAXIMUM 1000 words (more than 500 words) for students upto 10+2 class and 1500 words (more than 750 words) for others. The submitted essay should be plagiarism free/no copy from internet/unique writing. Please check your essay in this link plagiarism checking tool before sending to us. Plagiarized essay will not be accepted for the contest. The essay should be preferably typed in MS word format (No PDF). However, for those participants, who (only those) does not have access of computer/laptop, they can send hand written essays. The copyright of the article will remain with the author. Selected essays will be published in the website with the name, photo and bio of the participants without the need of prior permission. 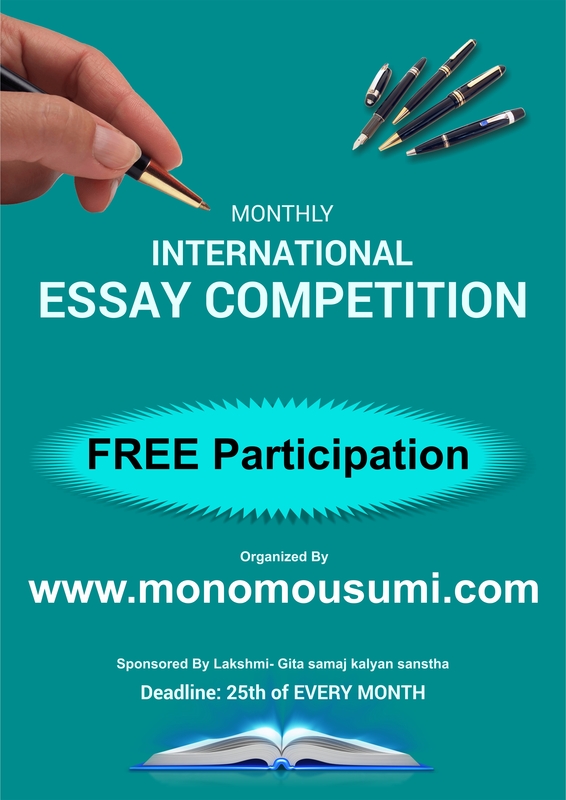 However, the participant is always free to withdraw the essay from this website. This is very innovative idea. It will increase the creativeness of creative mind.I am very happy and proud of my friend Mousumi. Mam i would like to join this essay competition but i have doubt with the topic of this month. Because the topic of essay is varied in websites. Can you please verify it and tell mam. Can I send handwritten essay on email?